We are available around the clock seven days a week to tend to any emergencies you may have. Call us at 817-233-8762. If you have trees that pose a hazard because of being broken or diseased, we will come out promptly remove them to avoid further damage. We have many years experience trimming and pruning trees. Whether your trees are out of shape, or simply need to be trimmed to accommodate powerlines or other structures, we have the experience and the equipment to do the job. Huggins Services are also equipped to safely and efficiently remove any unwanted trees. We take care to avoid damage to surrounding property and take pride in providing timely service. We have stump grinding equipment that is designed to fit through almost any gate. We will remove the stump without using chemicals and leave the site neat and tidy. 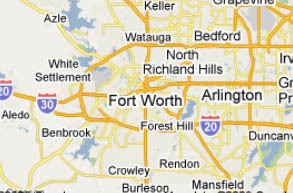 Servicing: Fort Worth, Bedford, Southlake, Keller, Saginaw, River Oaks, Forest Hill, Arlington, Haltom City, North Richland Hills, White Settlement, Watauga, Colleyville, Blue Mound, Southlake, Euless, Pantego, Kennedale, Benbrook, North Texas. Repair or Replace? Often, that’s a tough question to answer. Maybe you’re not ready to invest in an entire fence or deck replacement. Or perhaps you’ve had some incidental damage to a section of your fence. The professional staff of Huggins Fence & Tree can help you determine the most suitable course of action. We are experienced in providing creative alternatives to full fence repair or replacement. From replacing individual pickets, adding or replacing posts, to replacing sections of your fence, we’ll give advice and proposed solutions with a cost estimate at no charge. So, don’t procrastinate any longer just because you’re not sure if your fence, deck or arbor can be repaired. Not addressing the damage promptly could result in the repair growing in scope and cost. So call today!